Doors at 9:30PM. All unclaimed tickets will be released at 9:50PM to a wait list at the door. Perle Noire: Meditations for Joséphine brings together the astonishing talents of several of today’s most innovative artists. 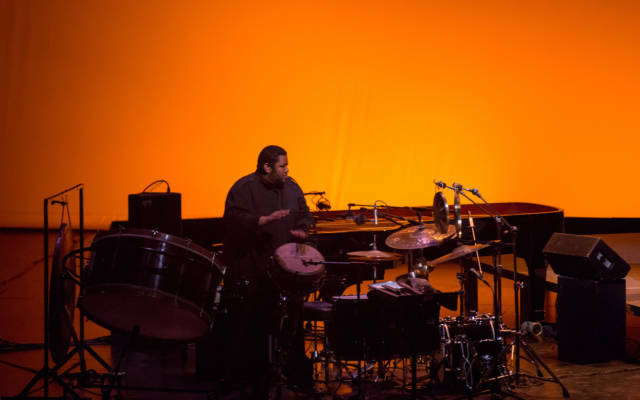 Conceived by director Peter Sellars and Julia Bullock and premiered at the Ojai Music Festival in June of 2016, Perle Noire spotlights Josephine Baker’s iconic songs re-composed by the percussionist Tyshawn Sorey and sung by world-renowned soprano and activist Julia Bullock, who sees her work on the show not as an impersonation of Baker, but as a tribute. Other collaborators include poet Claudia Rankine and International Contemporary Ensemble (ICE). The performance is free but ticket reservations are required. Limit 2 per person. All unclaimed tickets will be released at the door to the public at 9:50PM on the night of the performance.